The primary purpose of this report is to get an idea about the operations of “Credit Performance” of Janata Bank Limited. Credit Performance plays an important role in the balance of trade in our economy. In this regard Credit Performance of Bangladesh, Banks plays an vital role. The word “Bank” refers to the financial institution, which deals with money transaction. This report is an attempt to reflect the position of Credit Performance of Janata Bank Limited side by side Bangladesh. BBA program is designed with an excellent combination of theoretical and practical aspects. As the classroom discussion alone cannot make a student perfect in handling the real business situation, so it is an opportunity for the students to know about real life situation through this internship program. This internship program provides the students to link up their theoretical knowledge with practical fields. In this connection, I was assigned to Janata Bank, Sheraton Hotel Corporate Branch, Credit department for my practical orientation. I am required to prepare an internship report under the supervision of our honorable teacher Mahmood Osman Imam on “Credit Performance analysis of Janata Bank Limited” to conduct a depth analysis on this subject matter. I have tried my level best to present my experience of the practical orientation in this report. Determine the ways of measuring the creditworthiness of potential borrowers. Assessing the performance of different types of Loan products. Identification of weaknesses and problems regarding Credit management system. Analyzing Loan disbursement and collection procedure as well as their effectiveness and efficiency. Assessing existing Loan innovation system and practices. The report intends to cover Janata Bank Limited’s company profile, historical background, organizational overview, management, capital structure, products and functions regarding social responsibilities performed by the bank. Main focus will be given to Credit performance analysis. Bangladesh is one of the developing country in the world. The economy of the country has a lot left to be desired and there are lots of scopes for massive improvement. In an economy like this, Credit Performance can play a vital role to improve the overall economic condition of the country. The banks by playing the role of an intermediary can mobilize the excess fund of surplus sectors to provide necessary finance, to those sectors, which are needed to promote for the sound development of the economy. This report is an effort to reflect a clear idea about the strategies, activities, and performance of Bangladesh regarding Credit Performance Business. To prepare this report, I have faced some limitations, which are mentioned below. • Limitation of time: It was one of the main constraints that hindered to cover all aspects of the study. • Lack of Secondary Information: The secondary source of information was not enough to complete the report. • Limitation of the Scope: Some confidential information was not disclosed by various personnel of their respective department. Secondary Data will be collected from different sources. Then those data includes repayment pattern, disbursement pattern, recovered amount, amount due to be recovered, loan overdue amount of different types of loan will be collected. The necessary information need to be collected to calculate Cost of Capital of the Branch. To prepare this report I have mainly focused on numerical data. I have also used theoretical portion as report’s demand. Because to analyze Credit Performance of a bank both theoretical and technical knowledge are necessary. Then based on everything I have analyzed and made conclusion. Information is mainly collected from annual report of Janata Bank Limited, annual meeting report, brochures and web sites. The information incorporated in this report is also collected both from the primary sources and as well as from the secondary sources. I collect data directly from the practical field of different sectors that is Janata Bank head office. This data is called primary source of data. The secondary data is also collected from annual report, different conceptual matters, internet and different articles published in different sessions. Annual Reports of different years of Janata Bank Limited. Annual Report of Bangladesh Bank of 2009. Other published documents of Janata Bank Limited. Different types of manuals related to banking, its credit policy etc. To collect new members in FY2011 to start export related new business. At least 2 new AD branch will open in FY2011. Credit decisions are heart of all credit works. Generally branch manager and the credit in-charge of a branch are held responsible for appraising of a loan proposal. The customer request for credit limit and the credit officer prepares a credit memo and send it to the head office, credit division. After taking all the relevant information from the branch the head office credit division sent the credit memo to the credit committee. Credit committee of JBL is comprised of Managing Director and other top-level executives, that is, DGMs and EVPs. If credit committee is convinced about the merit of the proposal then it is sent the broad of directors. The board is final authority to approve or decline a proposal. The whole process takes a month or more. Liquidity means the availability of bank funds on short notice. The liquidity of an advance means it repayment on demand on due date or after a short notice. Therefore, the banks must have to maintain sufficient liquidity to repay its depositors and trade off between the liquidity and profitability is must. Safety means the assurance of repayment of distributed loans. Bank is in business to make money but safety should never be sacrificed for profitability, To ensure the safety of loan. The borrower should be chosen carefully. He should be a person of good character & capacity as well as bank must have to maintain eligible number of security from borrower. Banking is a business aiming at earning a good profit. The difference between the interest received on advances and the interest paid on deposit constitutes a major portion of the bank income, Besides, foreign exchange business is also highly remunerative. The bank will not enter into a transaction unless a fair return from it is assured. Banks sanction loans for productive purpose. No advances will be made by bank for unproductive purposes though the borrower may be free from all risks. The security offered for an advance is an insurance to fall bank upon in cases of need. Security serves as a safety value for an unexpected emergency. Since risk factors are involved, security coverage has to be taken before a lending. Banking industry has significant role to play in the economic development of a country. The bank would lend if the purpose of the advances can contribute more to the overall economic development of the country. Bank then starts examination that whether the loan applied for is complying with its lending policy. If comply, than it examines the documents submitted and the credit worthiness. Credit worthiness analysis, ie. analysis of financial conditions of the loan applicant are very important. Then bank goes for Lending Risk Analysis (LRA) and spreadsheet analysis, which are recently introduced by Bangladesh Bank. According to Bangladesh Bank rule, LRA and SA is must for the loan exceeding Dhaka core. The outcome of analyzing the character is to have overall idea about the integrity, experience, and business sense of the borrower. Two variables; Interaction/interview, and Market Research are used to analyze the character of the borrower. a) Prompt and consistent information supply, information given has not been found false (Willingness to give information). b) CIB also reveals business character. c) Willingness to give owns stake/equity & collateral to cover. a) Information on business is verified. b) Dealing with supplier and or customer as supplier is also a kind of lender; the payment character can also be verified. For identifying the capital invested in the business can be disclosed using the following indicators. b) Receivable, Payable, statements to practically assess the business positions. Net worth through financial statements or from declaration of Assets & Liabilities. Capability of the borrower in running the business is highly emphasized in the time of selecting a good borrower. As the management of the business is the sole authority to run the business that is use the fund efficiently, effectively and profitably. The indicators help to identify the capacity of the borrower. a) Entrepreneurship skills i.e. risk taking attitude shown by equity mobilization. b) Management competencies both marketing and products detail, ability to take decision. Make sure that there is a “second way out “ of a credit, but do not allow that to drive the credit decision. Cash flow is the vital factor that is used to identify whether the borrower will have enough cash to repay the loan or advance. Cash keeps the liquidity to ensure repayment. The relationship manager try to identify the annual cash flow from the submitted statements. Understanding the business and economic conditions can and will change after the loan is made. Do not rely on past history to continue. Stay alert to what can go wrong in any loan. Remember that documentation, follow-up and consistent monitoring are essential to high quality loan portfolios. Share credit objectives and credit decision making both vertically and laterally within the bank. Make sure that you understand the risks, particularly the downside possibilities and that you structure and price the loan consistently with that understanding. Do not get swept away by what others are doing. The loans and advance department gets a form filled up by the party seeking a lot of information. Deed of the Mortgage and power of the Attorney to be drafted and executed under the Supervision of the Bank’s Legal Advisor. Registered power of attorney has been collected form the borrower (contractor) assigning the work order favoring the JBL and the power of attorney has been registered with the work order given agency and they have agreed that they will issue all the cheques favoring JBL. The legal documents of the vehicle have been obtained. Collection of the satisfaction certificate in respect of all the documents both legal and banking from the lawyer. Entry has been made in the Safe -in and Safe-out register and the documents are preserved. After being satisfied all the above terms and conditions the credit in-charge will disburse the loan amount to the client. iv. Letter of hypothecation of goods and capital machinery. v. Stock report: This report is used for OD and CC. In this report, information about the quality and quantity of goods hypothecated is furnished. vi. Memorandum of deposit of title deed of property duly signed by the owners of the property with resolution of Board of Directors of the company owning the landed. vii. Personal guarantee of the owners of the property. viii. Guarantee of all the directors of the company. x. Form no. XVII/XIX for filling charges with the register of joint stock companies under relevant section. xii. Letter of lien for advance against FDR. v The main focus of Janata Bank Limited Credit Line/Program is financing business, trade and industrial activities through an effective delivery system. v Janata Bank Limited offers credit to almost all sectors of commercial activities having productive purpose. v The loan portfolio of the Bank encompasses a wide range of credit programs covering about 200 items. v Credit is also offered to 15 (fifteen) thrust sectors, as earmarked by the Government., at a reduced interest rate to develop frontier industries. v Credit facilities are offered to individuals, businessmen, small and big business houses, traders, manufactures, corporate bodies, etc. v Loan is provided to the rural people for agricultural production and other off-farm activities. v Loan pricing system is customer friendly. v Prime customers enjoy prime rate in lending and other services. v Quick appreciation, appraisal, decision and disbursement are ensured. v Credit facilities are extended as per guide-lines of Bangladesh Bank (Central Bank of Bangladesh) and operational procedures of the Bank.v This rate may change from time to time depending on the level of competition in the financial sector. A vast majority of the Bangladeshis live in the rural areas and their main source of income is agriculture and agro-business. Janata Bank Limited has opened branches in rural areas to cater to the banking needs of rural people. Apart from accepting deposits from the rich and moderately well-off villagers, Janata Bank Limited encourages the poor people to make small savings through different mechanisms. So far lending in rural areas is concerned, Janata Bank Limited has been financing agricultural production and poverty alleviation programs since 1977. It also lends to the poor landless so that they can make a living. The average loan size is about Taka 20,000.00 (around US$ 285). v To increase agricultural production and improvement its quality. v To gear up socio-economic activities among rural people. v To create employment opportunities among rural people through providing economic support. v Creating confidence among the beneficiaries on institutional credit and their access to improved production practices / activities. v To build up asset by creating saving habit among the rural population. 01. Purpose of loan : Sanctioning of loan to farmers for crop production. 02. Area of operation : Unions allocated by Bangladesh Bank under Lead Bank System. 03. Eligibility of loanee : Farmer possessing 161/2 – 250 decimals of cultivable land or share croppers. 04. Sanctioning Authority : Branch Manager is sanctioning loan as per credit norms. 05. Security : Crop hypothecation and personal guarantee of the borrowers. 06. Rate of interest : 8%. 07. Duration of loan : 6 months to 9 months, Maximum 12 months. 08. Mode of disbursement : In cash in a single installment. 09. Repayment of loan : Repayable at a time after harvesting and marketing of crops. 01. Purpose of loan : To extend financial help to the farmers who are interested to cultivate betel-leaf, banana, pine apple etc. 03. Eligibility of loanee : Genuine farmer. 04. Sanctioning Authority Branch Manager is sanctioning loan as per credit norms. 05. Security : Hypothecation of produced crops and personal guarantee. 07. Duration of loan : Maximum 11/2 year from the date of disbursement. 08. Mode of disbursement : Loan is disbursed in cash in a single or more than one installment. b) Lease holder of pond.04.Security :Pond, in case of pond owner and other properties in case of lease holder are being taken as a registered mortgage.05.Rate of interest :8%.06.Duration of loan :41/2 years07.Mode of disbursement :Loan is disbursed in installments.08.Repayment of loan :Entire amount of loan with interest is repayable by 4 equal installments. First installment is due for recovery after 18 months from the date of disbursement. Fishery resource is an important sector in our economy. It can play a vital role in creating employment opportunity for reduction of poverty. A memorandum of understanding has been signed between Directorate of fisheries and Janata Bank Limited. As per memorandum bank is financing fish cultivators selected by Directorate of Fisheries. Under this programme, no collateral security is required up to Tk.0.05 million of loan amount.Purpose of the loan & rate of interest is same as that of fishery loan programme. :To encourage the shrimp cultivator to produce more shrimps by utilizing modern production practices in order to earn more foreign exchange.02.Eligibility of loanee :Individual / Group / Cooperative society are eligible for loan.03.Security :Hypothecation of produced shrimp. Collateral security such as land & building are being taken as a registered mortgage.04.Rate of interest :8%.05.Duration of loan :10 months.06.Mode of disbursement :(a) Loan is disbursed in 2/3 installments from January to March. for the10 (ten) acres of land or above.07.Repayment of loan :(a) Loan is repaid by 4 equal monthly installments from July to October. (b) Cash credit is adjustable 3(three) times within 1(one) year. 4. Irrigation & Agricultural Equipment Credit Programme. 01. Purpose of loan : Loan is given for the purchase of irrigation equipments i.e Shallow Tube Well (STW), Low Lift Pump(LLP), Deep Tube Well (DTW) etc & Agriculture equipment i.e Tractor, Power Tiller etc. to increase agricultural production. 02. Area of operation : Allocated unions under Lead Bank. System. 03. Eligibility of loanee : Owner of at least 0.5 acre of land in case of irrigation equipment loan and genuine farmer in case of agricultural equipment loan are eligible. 04. Security : a) Hypothecation of equipments purchased by loan money. b) Registered mortgage of land & building which is equivalent to loan amount. 06. Mode of disbursement : Loan is disbursed to the supplier through Pay-order against bill. 07. Repayment of loan : Entire loan amount with interest is repayable by 11 equal half yearly installments within 6(six) years with a grace period of 6(six) months. The Micro Enterprise & Special Program Division (MESPD) is responsible for implementing of (i) Micro Credit Programs related with the poverty reduction, (ii) Special credit programs related with employment generation and (iii) Financing of agro-based industries. Bank has different micro-credit programs of its own & in collaboration with other agencies. For successful implementation of these credit programs specially poverty reduction credit programs it requires close supervision and monitoring. Considering Bank’s manpower/field staff it is not always possible to ensure intensive supervision at the grass root level. To make the micro credit programs time & cost effective bank has initiated linkage program using intermediaries/collaborating agencies (GOs & NGOs). Collaborating agencies are responsible for organizing the target groups (conducting survey, formation of groups, providing training etc.) including supervision and recovery of credit . 1. Diversified credit program -1992. Objectives : For creation of self employment & poverty reduction. Area of operation : Throughout the country. Activities & Appraisal : (a) Initially 45 IGAs. Presently any viable IGAs. (b) Production plan/appraisal is prepared on the basis of activities and market rate. (c) Loans are determined on the basis of credit norms/ceiling given by Head Office or present market rate subject to the prior approval from the concerned authority. Associate agencies : Bank’s own program. Term : ST & MT. (b) Personal guarantee in favour of loanee from an acceptable person. (c) Hypothecation of goods ( If applicable). Disbursement : Disbursement is made in cash by installments. Purchase receipts/documents to be kept in respective loan file. Objectives : Employment generation of the poor. Collaborating agency : Bangladesh Academy for Rural Development (BARD),comilla. Activities : All types of IGAs. Approach : Group. A group consists of 7-10 members. Security : a) Hypothecation of goods. c) Lien of group savings. Disbursement : Disbursement is made in cash or through group’s savings account. Repayment : Loan is repayable in installments (weekly/monthly etc.) It depends on the nature and purpose of loan. Area of operation : : 247 unions of 87 Upazillas. 167 branches are designated. Major activities under credit : : Off-farm IGAs.. Approach : : Group. Each group consists of 5 members. Appraisal : : Amount of loan is determined on the basis of activities & prevailing market rate. ( Maximum Tk.10,000/- per member). Security : : a) Hypothecation of goods. Disbursement : : Disbursement is made in cash. Repayment : : Loan is repayable with interest by 52 weekly installments. Delegation : : Concerned Branch Managers sanction loan subject to the recommendation of credit supervisor/unit manager of Swanirvar Bangladesh. Related circular/letter : : As per work manual of Swanirvar credit program. Collaborating agency : BRDB(Bangladesh Rural Development Board). Area of operation : Noakhali, Luxmipur & Feni District. Objectives : Financing to the co-operative members of primary societies ( eg. Farmer’s society, Women’s society etc.) under 2-tier co- operative. Major activities under credit : Crop & other different production oriented income generating activities. Proposal : Co-operative members apply for loan to the concerned primary society. Primary society consolidates the loan applications and applies for loan to respective UCCA(Upazilla Central Co-operative Association). UCCA consolidates the society wise loan requirement and finally the UCCA applies for loan to the bank. Appraisal : Crop- as per credit norms of SACP & other short term credit- on the basis of production plan prepared as per market price. Irrigation & Ag.Implements- on the basis of actual market price. Maximum 80% loan is sanctioned. i.e. minimum down payment is 20%. Security : a) Members of managing committee of UCCA are to give guarantee individually and jointly. b) Lien of Group share/savings. Delegation : Regional Head- upto Tk.50.00Lac/UCCA & Area Head- up to Tk. 1.00 crore/UCCA for single instance. Target Group : Rural poor people male or female and should be capable to conduct the activity for which the credit to be applied for. Area of operation : Unions under SACP(approved by H.O.). Objectives : (a) Accommodating maximum rural dwellers in production/ income generating activities. (b) Making each household a ” Production Farm.” & thereby to make them economically sustainable. Eligibility : (a) Permanent inhabitant of the allotted union. (b) Applicant must be capable and keen to conduct the concerned activity. (c) Head of the family will execute the charge documents and will provide guarantee on behalf of the loanee members of the family. Proposal : (a) Any one can apply for loan from the command area of branch. (b) Loan application to be duly & correctly filled in along with the production plan ( in a prescribed form). Appraisal : (a) Loans are determined on the basis of credit norms/ceiling given by Head Office. (b) Production plan/ appraisal is prepared on the basis of activities and market rate. Sanction : Loans are sanctioned for different income generating activities. Loan size : Maximum TK.40,000/- per family. Loan size depends on the nature of loan and varies from purpose to purpose. Security : (a) Hypothecation of the goods against which loan has been given. (c) Under this program security has not been given priority. Importance has been given on close supervision , monitoring and evaluation. Disbursement:Disbursement is made in cash or kind through single or 2 installments. 1. Women Entrepreneur Development Credit program. (a) producing/marketing goods by themselves or through others. (b) eager to utilize their educational/professional experience and like to set up new projects or BMRE of existing projects and need working capital. Purpose of loan : Dress making, Bed cover, Bed sheet, Pillow cover, Embroidery, Block, Screen Printing, Doll making, Artificial flower making, Gift item, Small printing industry, Foods processing (Jam, Jelly etc. ), Spices processing, Store running, Fast food item, Leather products, Jute products, Bamboo and cane products, Plastic products, Pottery, Service-oriented Tele-Phone-Fax-e-mail & computer service, Day-care centre, Nursing home, Diagnostic centre, Clinic set-up and running etc. Eligibility of clients : The women entrepreneurs asking for loan should have minimum literacy. She should be agile, having will power & innovation traits. Women who have need based/job specific training & skill. Appraisal : On receipt of proposal, Branch manager makes spot verification and verifies the genuineness and credit need of the entrepreneur. Security : Personal guarantee of the applicant, Personal guarantee of the applicant’s husband/father or earning members from any dears & near one’s, guarantee from any known & highly acclaimed person of the society/organization to be obtained. Disbursement : Disbursement is made in cash. But in case of procurement of machineries/equipments disbursement is to be made through pay order to the supplier of goods. Delegation : Sanction power lies with Head Office and field level. Repayment : To be repaid in three years on monthly installment basis with a grace period of 3 months. For working capital, C.C. loan procedure is being followed. Target Group : Trained youth in computer technology. Area of operation : 10 designated branches of Dhaka city and corporate branches-I & II of Chittagong, Khulna, Rajshahi, sylhet and Barisal divisional head- quarters. Objectives : (1) To create employment opportunity for the unemployed trained youth and expansion of information technology. (2) To purchase computer, server, networking, Internet connection, Printer, Scanner, CD writer, UPS, Decoration etc. Eligibility : (a) Applicants must have minimum diploma degree in computer science or company formed by them. (b) Companies having prior experiences in cyber café business . (c) Concerned business at project area to be verified before loan sanction/disbursement. In regards cyber café’s work station appraisal of viability to be considered. (e) The applicant who can repay monthly loan installment excepting the 1/3 of his monthly income. Proposal : Loan proposal has to be submitted with detailed production plan. Appraisal : On receipt of proposal, Branch manager makes spot verification and verifies the genuineness & credit need of the applicants. Sanction : Head Office sanctions the loan for expansion & setting up of cyber café (for purchase and installation of Computer, Server, Net working, Internet connection, Printer, Scanner, UPS & cost of decoration etc.). Minimum equity/margin is 40%. Security : (a) Loans up to Tk. 3.00 Lac, no collateral is required and above Tk. 3.00 Lac collateral is required (1.5 times of loan). (b) In case of no collateral , advance dated cheques (one for each installment and additional one) are to be taken. (d) In case of no collateral security, 3rd person guarantee is required. Documentation : D.P note & other charge documents. Disbursement : Disbursement is to be made in cash by installments. Purchase voucher/receipts to be kept in respective loan file. Repayment : To be repaid in 36 monthly installments, starting next month from disbursement. Target Group : MBBS or its equivalent degree holders registered Doctors like Medical Practitioners, Eye Specialist, Cardiologists, Surgeons, Dentists etc, any group of doctors or any institution/company formed by the doctors may apply for availing this loan in the bank’s prescribed form. (c) All main branches of district towns. Objectives : (a) Inducing health services through all over the country. (b) To create employment opportunity of Doctors . (c) Making Chamber and purchase of required machineries and equipments. Eligibility : (a) The aforesaid categorized doctors must possess valid approval or license for general practices from the competent authority. (b) Those doctors who are not fully engaged may get preference for enjoying this new facility. (d) The doctors who can repay monthly loan installment excepting the 1/3 of his monthly income. Appraisal : On receipt of proposal, Branch manager makes spot verification and verifies the genuineness and credit need of the applicants. Security : (a) In case of no collateral security, advance dated cheques (one for each installment and additional one) are to be taken. (c) Personal guarantee of borrower’s husband/wife/parents/mother/father/adult children to be obtained. (c) Hypo. of all furniture & machineries of chamber. (d) Original copy of license of general practitioner to be obtained. (e) In case of group loan, one person will give guarantee for another. (f) Having been verified certificate/license/guarantee submitted by applicants carefully, these to be obtained. (g) The equipment purchased shall duly be insured covering all risks. (h) Personal guarantee of borrower’s husband/wife/parents/adult children to be obtained. (i) Encashable securities equitable to loan or mortgage of landed property (1.3 times of loan) to be obtained. Sanction : Loans are sanctioned on the basis of production plan at field level and Head Office as per delegation. Documentation : D.P note and other charge documents. Repayment : To be repaid in 5 years in 57 monthly installment with a grace period of 3 months. Target Group : Those who are running the business by purchasing shop’s possession or renting for a specific time. Area of operation : Corporate branches-I & II. Besides these, all branches of divisional and old districts towns and main branches of new districts towns . Eligibility : Those unemployed educated youth who have no ability to give collateral but involved in businesses such as all types of handicrafts, book, crokeries, all kinds of furniture, grocery & stationery shops, departmental store or any other income generating activities. Sanction : Loans are sanctioned on the basis of production plan at Head Office level as per delegation. Security : (a) Loans up to 5.00 Lac, no collateral is required in both term loan & working capital. Up to maximum Tk. 25.00 Lac, collateral is required in both term loan & working capital (1.5 times of loan). (b) In case of no collateral, 3rd person guarantee is required. (c) Shop’s possession right/ rental agreement to be obtained with consent letter of house/shop’s owner. (d) In case of group loan, one person will give guarantee for another. Documentation : D.P. note and other charge documents. Repayment : To be repaid in 5 years in 60 monthly installment in case of term loan. For working capital C.C. loan procedure is being followed. Delegation : Sanction power lies with Head Office. Major activities under loan : Handicrafts, Book, Crokeries, All kinds of furniture, Stationary shop , departmental store or any other income generating activities. Target Group : Farmer’s Seed Company (FSC). Gopalgong, Naogaon, Bhola, Sherepur, Maulvibazar, Dinajpur, Chuadanga, Jhenaidah, Patuakhali and Cox,s bazar. Objectives : To extend loan to farmer’s seed company for procurement, processing & marketing quality seeds for the development of private seed sector. Eligibility : (a) The concerned (FSC) are to be duly registered under the companies act,1994 of Bangladesh. (b) The shareholders and directors of such companies must be residing in the concerned locality. (c) The loan taking FSC must maintain their fund/deposit company’s account with the financing branch. (d) The concerned (FSC) or its directors/shareholders are not defaulter loanee of other bank/financial institution. Security : (a) The guarantee fund to be provided by GTZ will be treated as collateral security. (b) Hyp. of crops/goods/assets to be produced/procured with loan money. (c) The members of the Board of Directors shall provide to the bank a group guarantee stating their joint and individual liability to repay the loan. (d) Seeds/goods/assets procured by bank loan and stored by the company shall duly be insured as per bank’s clause covering all risks. Documentation : (a) List of all share holders with full particulars. (b) Duly attested copy of Memorandum & Articles of Association. (c) Duly attested photographs of all directors. (d) Resolution of the Board of Directors with decision regarding taking loans as per sanction. Disbursement : Loan to be disbursed for procurement of different seeds/cereals as per schedule. Purchase voucher/receipts to be kept in respective loan file. Repayment : Loan for each crop shall be repaid within 9 months from the date of disbursement of that item. If any FSC for genuine reasons is not able to repay the loan in time, the branch may allow a grace period of maximum 3 months. Major activities under loan : Credit will be provided for mainly- Wheat, Boro, Aus ,Paddy and other potential crops of the locality. Target Group : Physically handicapped/disabled people who has the expertise and intelligence to conduct the economic activity. Area of operation : All branches up to union level. Objectives : (a) To raise the income and living standard of handicapped people by self employment. (b) To help build self reliance and to bring them into the mainstream of economic activities. (c) To provide assistance for increasing efficiency at work and in their own professions. Proposal : (a) Loan application to be duly & correctly filled in along with the production plan ( in a prescribed form). (b) By conducting survey pass book to be issued for the eligible people. Appraisal : Amount of loan is determined on the basis of activities. Initially amount of loan will be maximum TK. 25,000/-. Later amount of loan will be fixed up to TK. 50,000/- on the basis of the efficiency level. Eligibility : (a) The age of the handicapped borrower should be at least 18 years. (b) The borrower/entrepreneur should be capable and keen to conduct the concerned project/activity. If any individual is physically handicapped but he has the expertise and intelligence to conduct the economic activity for which he has applied for in those cases the borrower/individual will be selected as eligible for the credit to conduct the activity through his or her wife/husband/father/ mother/brother/sister. Disbursement : Disbursement of credit on installment basis( one or more) as per requirement and will depend on nature and sector of the credit policy. Repayment : Loan repayment on weekly/fortnightly/monthly/quarterly basis will depend on nature, sector and income generating kind of the credit facility. Major activities under credit : All income generating activities suitable for disabled people such as fish cultivation, milking cow, goatery, beef fattening etc. The agro-based projects (e.g. dairy, poultry, hatchery, fishery, mixed projects, agricultural processing units, agri.- products storing and marketing etc.) have been considered as thrust sector. -capable to provide equity and security etc. -demand of the produced goods & favourable marketing facilities. (c) Debt-Equity Ratio- minimum margin 40%(Working Capital), 70:30 -Project loan. ( 15% of total project cost as land value or actual value of land whichever is lower to be adjusted with the total equity). (d) Land development, link road development, electricity connection etc. are to be completed from entrepreneur’s own source. (e) Recommendation from branch and regional office in respect of loan sanction is required. (f) Loan is to be sanctioned after completing technical and financial analysis of the project by the Head Office. (g) Equity is to arrange at a time or phase-wise as decided by H.O. b) Hypothecation of machinery & equipments (floating assets of the project). Working capital: a) 1:1.5 – the value of mortgaged property to be equivalent to 1.5 times of loan..
b) Hypothecation of goods produced & procured. Target group : Employees of different Govt/Semi Govt./Autonomous body/University/College/School/NGOs etc. Objectives : To meet up the emergency/personal need (e.g. treatment, marriage, travel cost, maternity or for specific activities (e.g. agri. or non agri. purposes etc.) of employees. Eligibility : (a) The employees of above mentioned organizations excepting Janata Bank Limited. (b) Preference to be given those who are taking salary from our branches. Appraisal : (a) In case of salary is being disbursed from Janata Bank Limited branch, 12 months basic salary or maximum TK.1,00,000/- whichever is lower may be sanctioned. 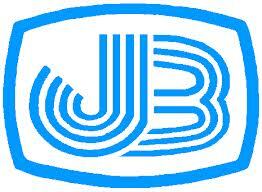 (b) If salary is not disbursed from Janata Bank Limited branch, 6 months basic salary or maximum TK. 50,000/- whichever is lower may be sanctioned. (b) Salary certificate/statement from the concerned organization. (c) Name of nominee (Husband/Wife/Children etc.) to be mentioned in the A/C opening form. Security : (a) Personal guarantee of borrower’s husband/wife/parents/adult children or any other 3rd party guarantee to be obtained. (b) 24 for 24 monthly installments and additional one-total 25 advance dated cheques to be obtained. Objectives : To meet up nutritional requirement of most of the people of the country, Creation of self-employment and reducing of poverty. Eligibility : Trained/Experienced people in mushroom cultivation and will be capable of building room in own home land. Selection of borrower : Concerned branch of Janata Bank Limited will select borrower. Loan application form & fee : Prescribed form for crop loan (except the un useful part). Loan application form to be used as per given proforma (RCD Cir.No.293 dt:05-04-2007). No. application fee is required. Security & Documentation : (a) No collateral is required. However hypothecation of goods/assets to be produced with loan money and 3 party guarantee from the person acceptable to bank to be obtained. (b) Usual charge documents to be obtained. Rate of interest : 8% (Changeable from time to time as per bank’s interest norms). Repayment schedule : To be repaid by 8(Eight) equal monthly installments including 2 months grace period. Sanction : Branch Manager( irrespective of grade) as per RCD Cir.No.293 dt:05-04-2007. Disbursement period : Throughout the year. Reference : RCD Cir.No.293 dt:05-04-2007. The importance of Information Technology and the role it can play in the socio-economic development of a nation cannot be over emphasized. The world has witnessed a phenomenal growth in IT over the last two decades, and the countries, which made a conscious decision to take advantage of such growth, have made unprecedented progress. To day we are living in the Internet world. To hasten the growth of information Technology and to attract young energetic IT professional Janata Bank Limited has launched a credit scheme titled “Financing Computer Software Development & Data Export”. The maximum loan amount is Tk. 10 million, with debt to equity ratio being 80 : 20. The rate of interest is 11%. But anybody with export market exposure can get the benefit at 7% interest rate plus 1% service charge. The main feature of this scheme is to set up industrial based IT projects for development of software for data export and that too on a very soft term. Janata Bank Limited has issued detailed guidelines for facilitating IT entrepreneurs. Computer Software Development and data export is a specialized job and requires skill, knack & innovative traits of an individual. What the promoters want to do with the loan? If we can know the interests of the sponsors, their technopreneurial abilities and IT related expertise we may really help the potential clients in developing their enterprises through positive support. The loanee (sponsors) should have a degree in Computer Science / or related subjects like Electronics Engineering, Electrical Engineering, Telecommunication Engineering, Applied Physics, etc or proven record of managing IT companies. Computer literate and sponsors having a Diploma in Computer, young energetic and qualified sponsors whom the Bank considers fit to take loan. The sponsors should form a limited company. Sponsors/companies having prior experiences in the related field will be given priority. This scheme provides maximum of TK.10 million (around US$ 1,44,000). For a loan up to TK.5 million (around US$ 72,000) debt-equity ratio will be 80: 20 and over TK.5 million (US$ 72,000) the ratio will be 70:30. 5(Five) years including 6-12 months grace period (Including construction period). Repayment of half yearly installment with interest compounding for term loan. Repayment period for working capital loan and export cash credit is 1(one) year. Interest During Construction Period (IDCP) will be repayable in 3 (three) yearly installments. In case of regular repayment, the sponsor company will be given 5% rebate on total interest charged. No collateral security is required. If any loanee willingly shows interest to provide collateral security, they will be given priority. Janata Bank Limited, Head Office, Dhaka. Loan application has to be submitted through any one of Janata Bank Limited’s 118 designated branches using prescribed format available in those branches. Besides, sponsors willing to apply loan above TK.10 million ( around US$ 1,44,000) may apply to our normal window instead of the existing scheme. Janata Bank Limited has entered into an agreement with American International Investment (AII) to provide financial plastic card services to Janata Bank Limited’s clients. This product is a “Debit Card” called the Ready Cash. Ready Cash is a debit card as it allows the cardholder to spend no more money than he/she has in his/her Bank account – unless a credit line has been extended. Mode of repayment : Sale proceeds of tickets. Loan General : Provided to FDR holder against to the clients deposit. Loan Outstanding – BDT 1 06, 88,430. Loan Out Standing – BDT 30,83,162. A banker cannot sleep well with bad debts in his portfolio. The failure of commercial banks occurs mainly due to bad loans, which occurs due to inefficient management of the loans and advances portfolio. Therefore any banks must be extremely cautious about its lending portfolio and credit policy. So far Dhaka Bank Limited has been able to manage its credit portfolio skillfully and kept the classified loan at a very lower rate —thanks goes to the standard and stringent credit appraisal policy and practices of the bank.  Dhaka Ban should have a clear written lending guideline. The lending guideline should include Industry and Business Segment Focus, Types of loan facilities, Single Borrower and group limit, Lending caps, Discouraged Business Types, Loan Facility Parameters and Cross boarder Risk.  It should adopt a credit grading system All facilities should be assigned a risk grade. And the borrowers risk grades should be clearly stated on credit application.  Approval authority should be delegated to individual executives rather than Executive Committee/ Board to ensure accountability. This system will not only ensure accountability of individual executives but also expedite the approval process.  The organization structure should have to be changed to put in place the segregation of the Marketing/ Relationship Management function from Approval / Risk Management / Administration function.  The responsibilities of the key persons of the above function must also be clearly specified.  There should be a Recovery Unit to manage directly accounts with sustained deterioration. To encourage Recovery Unit incentive program may also introduced. 03. Credit Performance department should be fully computerized that the exchange process would be convenient for both the bankers and the clients. Lastly it can say that there are a lot of opportunities for increasing Credit Performance in Bangladesh if stay political stability. The Human Resources are cheapest here which play an important role in any business. Bangladesh government should take proper steps to maintain congenial atmosphere for sustainable Credit Performance business in the country. Which Factors Affecting Capital Structure Decision of a Company?